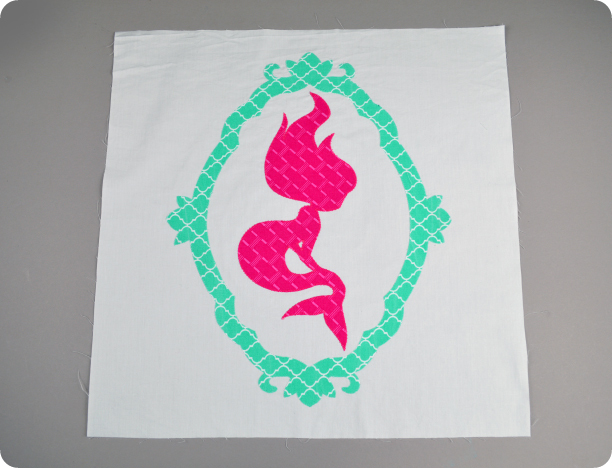 It’s put together just like the first applique week: print the pattern, trace the outlines, fuse to the fabric, cut the shapes, fuse to the background fabric, and finally sew around the edges. When you’re done, it should look something like this! Once again, give it a good press the remeasure the block to make sure it’s still 15½” square. Next week we’re finally putting all the blocks together! 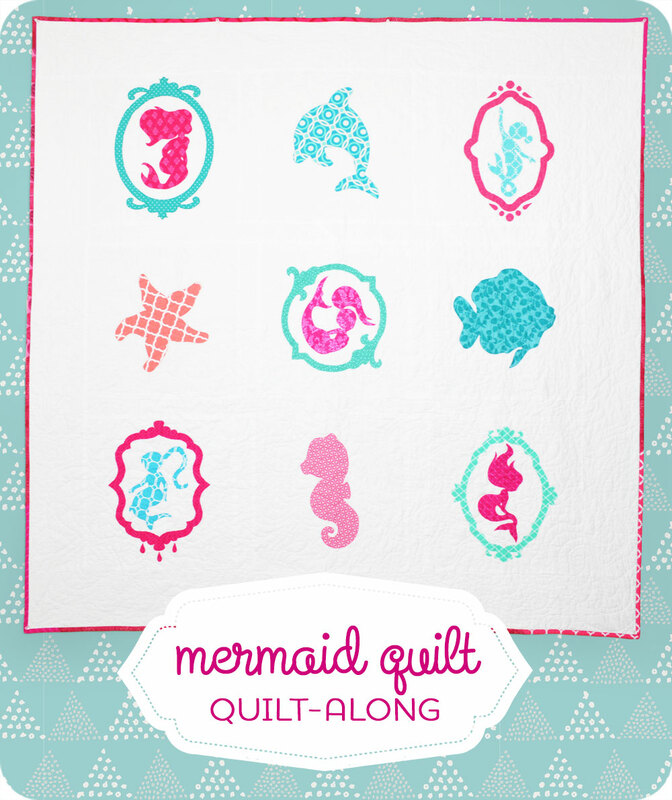 Categories: Mermaid Quilt Quilt-along | Tags: along, appliqué, blue, cameo, children, cute, diy, download, free, girls, how to, kawaii, kids, mermaid, modern, pattern, pink, project, quilt, quiltalong, sewing, simple, white | Permalink.